Chembond Calvatis Industrial Hygiene Systems Limited is a joint venture between Chembond Chemicals Limited, India and Calvatis GmbH, Germany which offers industrial hygiene and cleaning products and solutions to the Food Processing, Beverages (Alcoholic and Non-Alcoholic) and Dairy markets in India. This partnership targets to deliver superior value through better understanding and deeper engagements with customers. 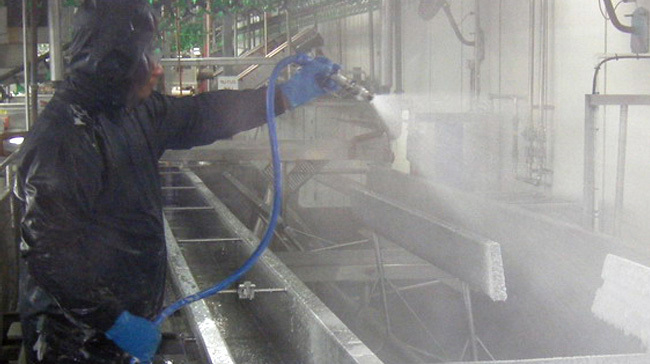 We also offer detailed audits of CIP systems and process. Our goal is to provide total solution to our customers so that they have an optimum clean and hygiene level maintained in their manufacturing plants. Chemicals - The right chemicals to clean disinfect in the best and sustainable manner for an optimal cost and a maximum result. Equipments - Easy to use equipment for a safe and reproducible result. Service - Service of our local and international specialists to improve the hygiene application so that the highest standards will be achieved.